I’m getting back to painting after one of my hobby-uninspired periods (see this blog post from four years ago). Sort of like exercise, you have to ease yourself into it after a break, so I figured I’d start easy and built a few ruins for my Pacific Rim project. After all, those cities are going to be hit and wrecked, so I’ll need plenty of replacement pieces for destroyed buildings. After buying a bunch of Monsterpocalypse buildings and popping them off their bases, I was left with plenty of empty plastic bases which I didn’t feel like throwing away. These provided a great base for ruins. 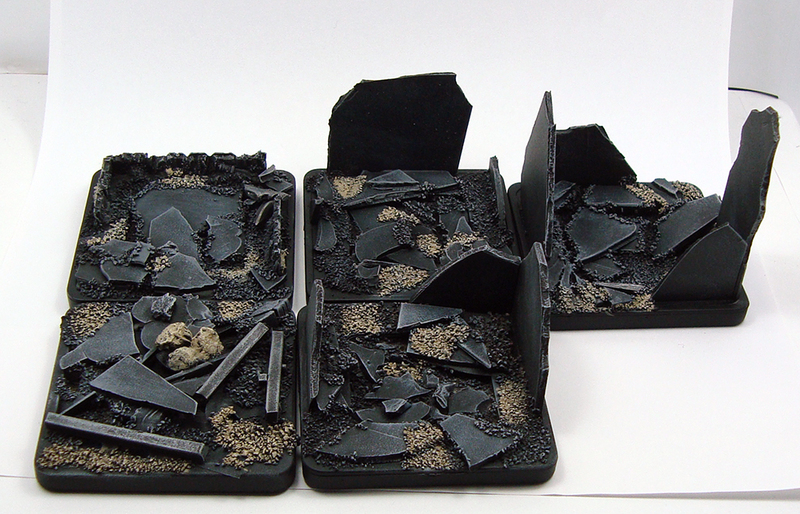 I then simply slapped on rubbish – mainly plasticard cut-offs, sprue pieces, sand and small rocks, undercoated with black and gave the whole thing a quick drybrush treatment. They turned out quite nice, and I wasn’t going for beautiful diorama pieces anyway as they’re rather just glorified tokens. The pieces work nicely on the battlefield. 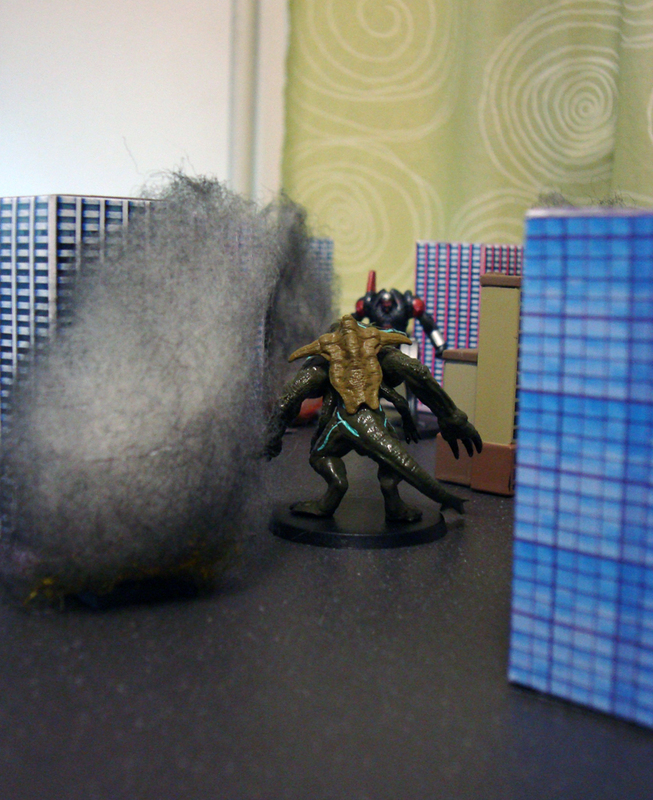 Here’s a shot of the kaiju Knifehead with one of the ruins. I like the way the base fits in! As always, all comments welcome! I happened to get up earlier than normal today (6:15 am in fact), and there was such a lovely light in my game room that I snapped a photo of the current state of my Pacific Rim setup. It’s actually an Instagram photo, so I slapped a retro filter on it, and I think it turned out nice. So, here’s a mood piece for you to hopefully enjoy! 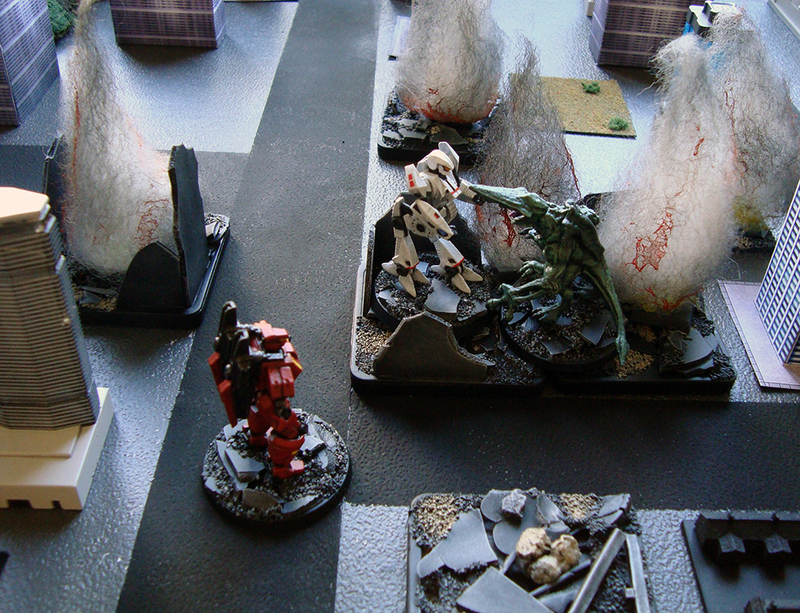 After painting two jaegers, it was time to tackle a kaiju – they obviously need someone to fight. 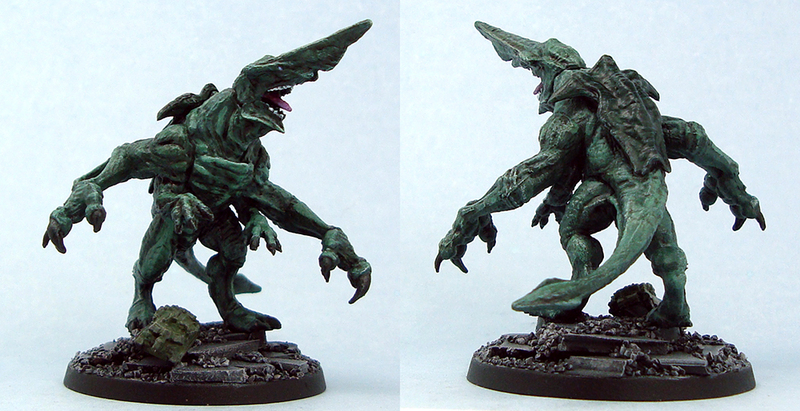 The first mini in my monster queue was Knifehead, a kaiju from the Pacific Rim movie. Painting Knifehead was very different from painting the jaegers. The machines are all straight lines, flat surfaces and clean, bright colours, whereas the kaiju has plenty of texture and organic shapes. This was sort of reflected in my painting of him, as I went for a more irregular layering (read: not as neat), did some drybrushing and used several washes. The end result is very different from the jaegers both stylistically and in feel, and I think it was a good call as it accentuates the whole organic vs. mechanical setup. It also had the benefit of being super fast – the whole mini probably took me a few hours from start to finish. While I liked the colour scheme of Knifehead and the rest of the kaiju in Pacific Rim, I wasn’t too fond of all the bioluminescent markings, so I did away with them. 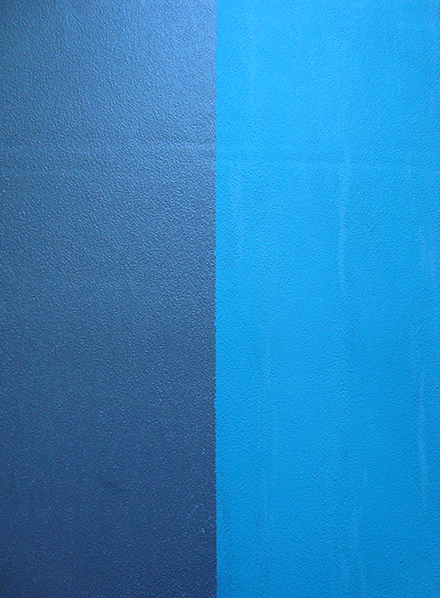 Instead I went for a blue-green scheme, almost looking like verdigris. In fact, in it’s early stages the model looked a lot like a statue. Again, the tones are very different from the jaegers’. While obviously straying far and white from the canon (schmanon), the end result was worth in my opinion. As you may know, I like my bases very simple. This time, however, I added a little extra touch in the form of a tiny tank. Instead of completely flipping it over, I just positioned it at an angle that suggests its toylike insignificance compared to the kaiju. You might have noticed that I seem pretty happy with Knifehead. I am! I was very sceptical of it at first, it being a clix repaint, but I was happily surprised with the end result. There are some awful, awful mould lines there, which I didn’t clean (“Come on, it’s a vinyl clix mini, not worth the hassle, let’s just get it on the table”) but even those don’t show up too badly. Every single miniatures project I’ve ever worked on has suffered its share of setbacks. Often these are a result of rash actions instead of careful planning. 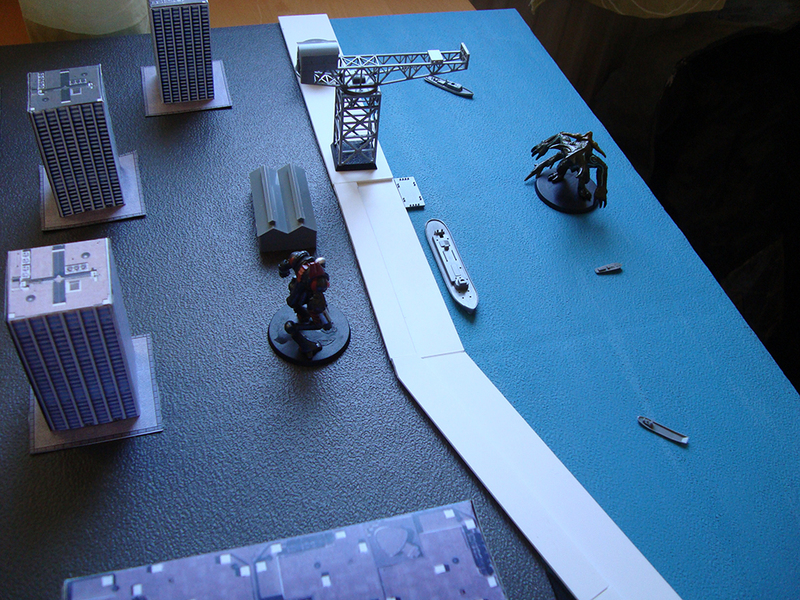 With my Pacific Rim game board, it just so happened that I decided that the table would look nicer drybrushed. The smart guy that I am, I tried a sample piece first, then a small corner of the table – both yielded nice results. I then meticulously started drybrushing a large board with a small drybrush, got bored, took a bigger brush to it, didn’t bother to wipe the paint off well enough and ended up with one end of the game board looking like someone did some very poor drybrushing on it. Next came the question of what to do. As the table wasn’t painted to begin with, I figured that to try and paint the area wouldn’t work – I would have to paint the rest of the table to match. For a brief moment I thought that I might simply cut of the messy end, after all foam cuts easily. This however felt a bit too much. Suddenly, a wild idea appeared! Why not just paint the whole end of the table as seaside? The sea would probably be present in all games anyway, and if I didn’t want it for some reason, I could always cover it up. After a quick round of “is this another stupid, rash idea?”-thinking, I went to work, and in a short time I’d painted the end of the table a lovely sea blue, completely covering up my amateurish drybrushing mess. What about the harbour then? With the sea fixed on the table, I figured the harbour just needed to be something to show where the sea ended and to make the razor sharp coastline a bit more interesting. I kept the main idea of my original harbour design, and simply cut out the strips I needed to make the pier. Wanting something more interesting, I went crazy and cut half of the pier in an angle. I was soooo pleased with myself, until I placed it on the waterline and had a wonderful facepalm moment. As you may have figured out, I’m not really an engineer. I am however a teacher, and fairly used to improvising fixes for my mistakes. 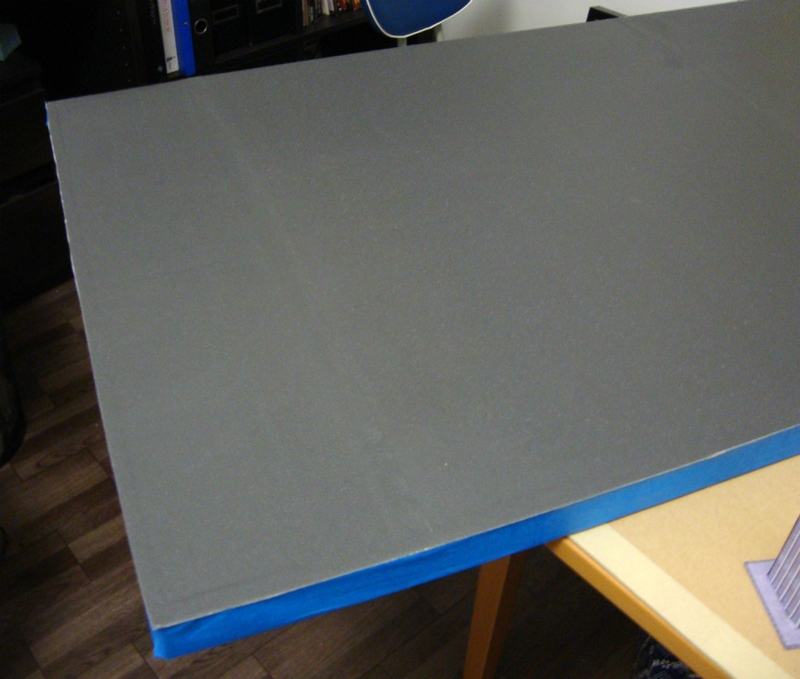 I’ve lately been working with thin mousepads as scenery building material (might do a blog on it), so I just cut out a suitable shape, sprayed it black and voila! After I paint it to match the pier, it won’t look out of place at all. Finally, here’s a shot of the harbour with accessories. I think once it’s painted, it will look mighty lovely. The waterline design also means, that if I want to make a sandy beach for example, I can simply cut up mousepads, paint/flock them and lay them over the waterline. Great success! I usually spend money on miniatures somewhat sparingly. Or rather, I do consider price quite a lot when making my purchases, although I end up spending lots of money nevertheless. Usually this means I steer away from keywords such as “limited edition” or “boutique” or “for collectors” when it comes to miniatures. Despite this, every now and then I run into something exceptionally interesting that makes me break this rule, and I end up doing a review like the one that follows after this unnecessarily long intro. As regular readers know, I’m working on a project inspired by the movie Pacific Rim, and thus I’m on the lookout for interesting monsters and giant robots. I visited Salute 2014 a week ago, and I ran into a miniature I’d seen on a news site before and noticed, but which had slipped my mind – Genbu by Zenit Miniatures. Genbu is a giant, bipedal turtle monster with a snake for a tail, and a part of Zenit Miniatures’ Kensei line. If the concept sounds strange, it has its roots in Chinese (and later Japanese) mythology, and you can read more about it here. Genbu also links directly into the kaiju genre, as it’s undoubtedly the inspiration behind Gamera. The model comes in seven parts: main torso, shell, tail and four limbs. Normally I would classify this as a nightmare, as I loathe putting metal miniatures together after too many cases of ill-fitting and poorly cast parts requiring literally hours of filing, sanding, cutting, pinning and filling to fit. 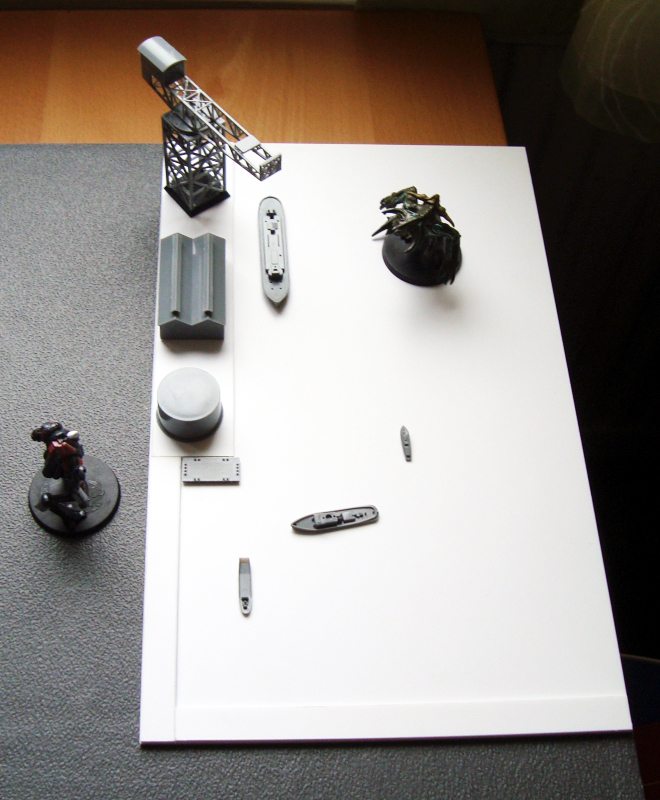 Zenit Miniatures’ offering was a positive surprise in this respect: the parts fit together well right out of the box. There are joins that need filling, but the model doesn’t appear to require pinning – although you may want to do that with the tail due to the small surface for attaching it. The shell especially snaps into place in a very, very satisfying manner. The one glaring exception to this is the left leg, which I simply couldn’t get to fit well, and will require filling of the joint. Both the torso and the inside of the shell are hollow, in a smart move to reduce the amount of metal needed. Genbu stands at 45-46mm from soles to top of head, so the model is impressively sized and will work as a giant monster in smaller scales or an ogre sized one in 28mm. There’s a separate square plastic base included, but I mounted mine on a standard 40mm round base. Sculpting on Genbu is excellent. The sculptor has managed to make a wonderfully characterful giant turtle monster with a gnarled, well textured skin. My only complaint is that the model was originally supposed to be a giant Kappa (see here for original concept art, notice the distinct lack of tail) and as such the Genbu model still has a patch of hair-like texture on top of its head, which doesn’t quite fit in. 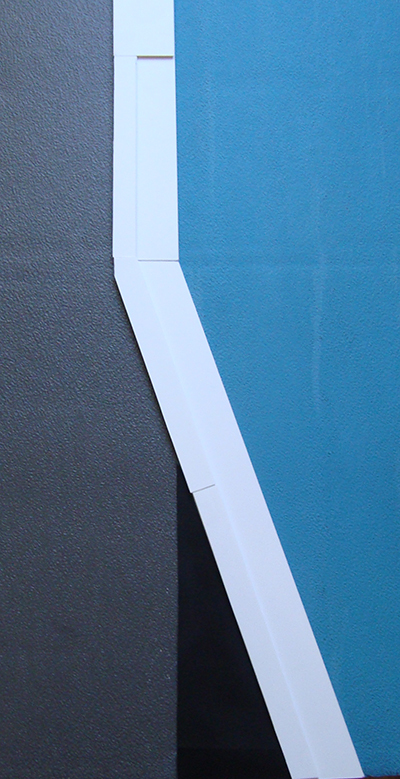 Even though it can be painted to match the skin, the texture is obviously different. Casting quality is very good, with crisp detail and very little flash. There are some noticeable mould lines but they were quick and easy to clean. Praise upon praise then, any downsides? Yes. There’s one obvious one that I mentioned right at the start. I bought Genbu at £18.60, and on the Zenit Miniatures site it retails at €19.95. Nice as the model is, that is a hefty price compared to many competitors on the market and will sadly put potential customers off buying it. The model comes with nice packaging – a padded cardboard box with a full colour sleeve around it. I can’t help seeing this as somewhat too much. I don’t know the actual packaging costs, but this grates on me a from an ecological viewpoint as well. 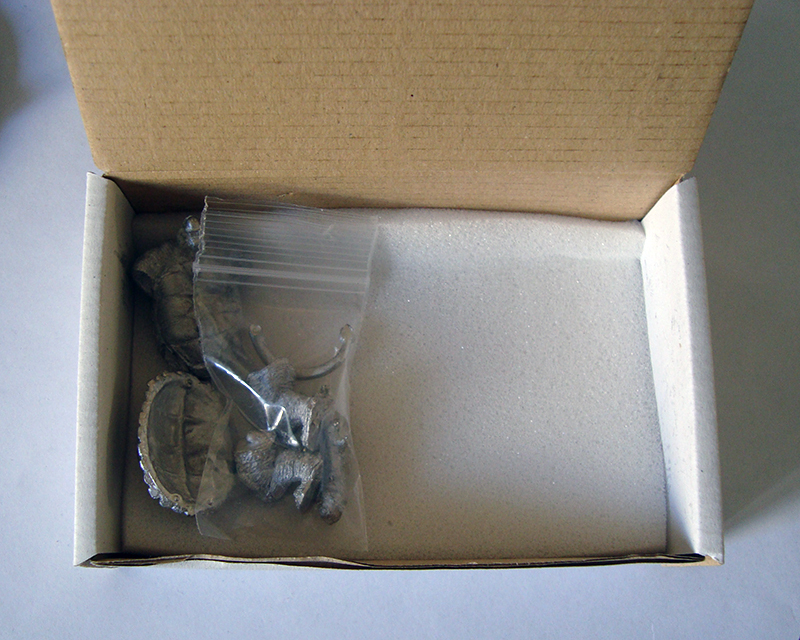 I’ve added a photo below showing the actual space the model takes up vs. the size of the box. Then again, the lovely packaging did catch my eye, but it’s a very rare case that I actually by something from a brick and mortar store. If I was mail ordering Genbu, the shipping would add an extra €5 to the price, bringing it to €24.99 and probably keeping me from buying it. Then again, I know a lot of people are used to spending lots more on a single mini than I am, so your mileage may vary! As usual, I added a size comparison picture. I also added a 28mm miniature, as Genbu is intended to be a large creature in that scale. Overall verdict: Genbu is pricey, but you do get a very nice model for your money. Good, clean sculpting and very nice casting with (mostly) well fitting parts mean that you won’t pull your hair out putting the model together. If you’re on the lookout for a great giant turtle monster to spice up your games, whether they’re giant monster ones or something else, you could do far worse. Also, if you leave out the tail, this is the nicest Gamera in miniature form you’ll probably find. You can get Genbu direct from Zenit Miniatures. 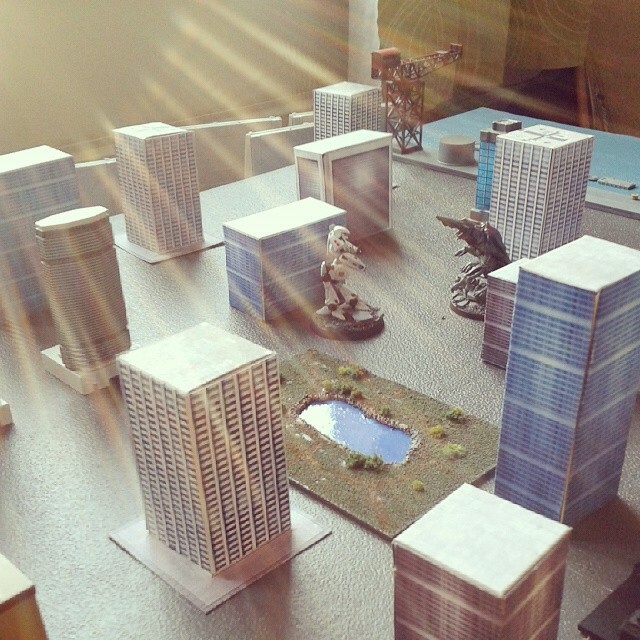 Work continues on my Pacific Rim board. 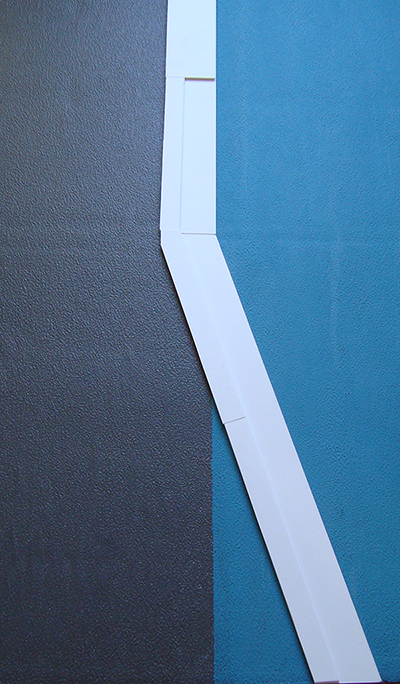 I recently made the base for the game board by first taping the edges of a 60 x 120 cm Finnfoam sheet with blue masking tape, and then gluing wallpaper (see this post) to it. The operation went fairly smoothly – literally – as there were only a few small bubbles left in one part of the sheet. I actually used a rolling pin to smooth it! The key was in the mixture of PVA glue and water, as it needed to be runny enough to make sure no place was left unglued. There are two seams, and they turned out very neat and tidy as well. 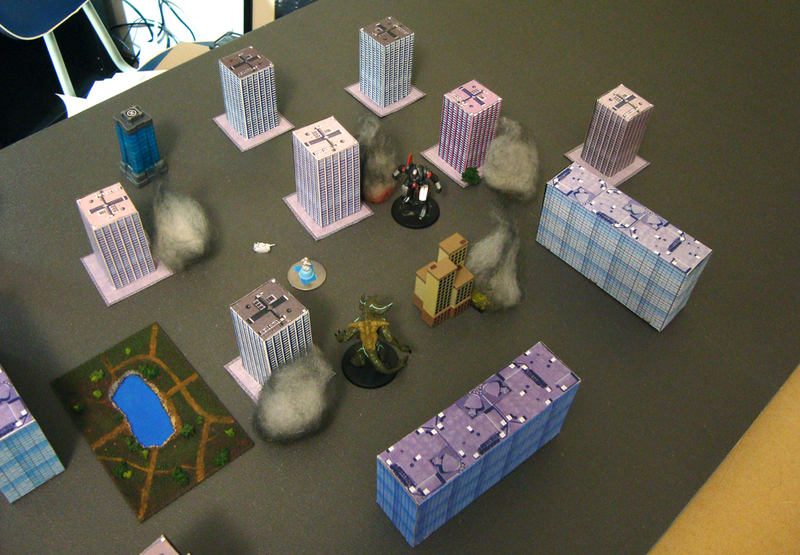 The buildings are a mix of paper ones from Sarna that I’ve customized, and Monsterpocalypse buildings. They fit together quite nicely, but I still need loads more. I thought of making separate streets, but figured it might be too much of a hassle and create a potentially unnecessary slew of more loose elements. 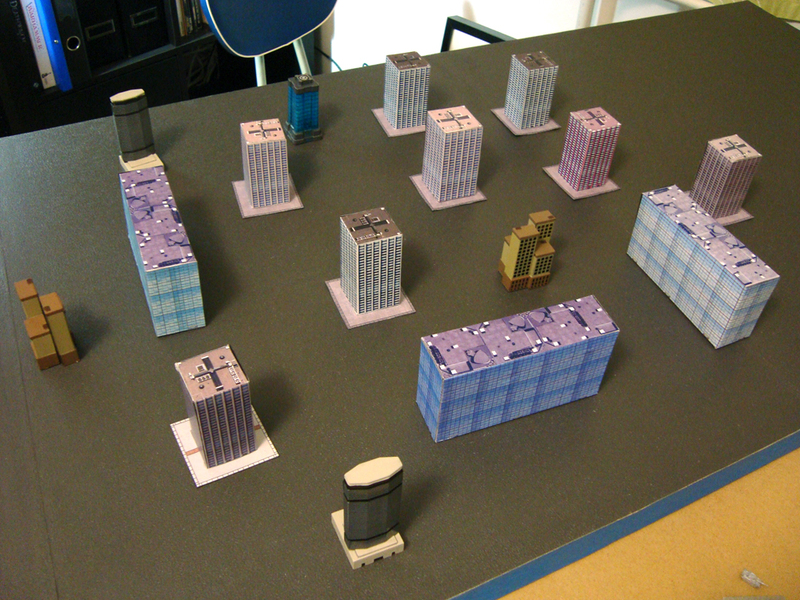 Then again, streets would probably make it look more like a cityscape and less like a grey field. Of course, this is still very much a work in progress thing, but the question of streets keeps bugging me. Do I need them, or will simply adding more variety to the cityscape work? What do you think? 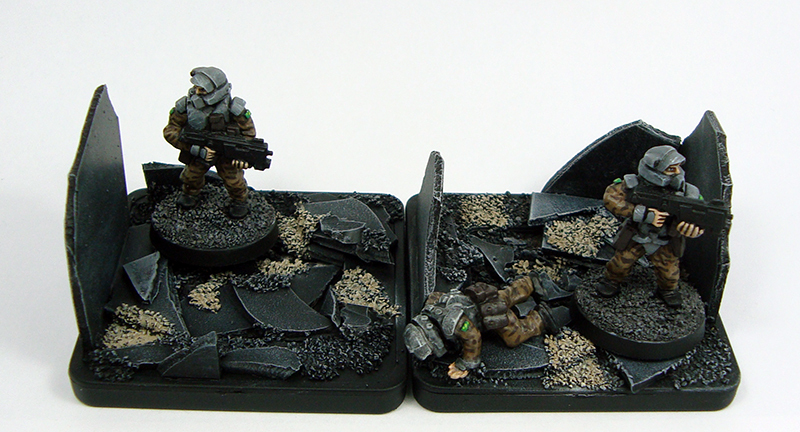 Two more additions to my Pacific Rim project, which is pretty much complete when it comes to miniature acquisitions. Now all I need to do is start actual work on the project instead of just buying things. That’s not entirely true, actually, as I’ve got a fair few buildings put together already! More about those in a later post. First up is Sasha Hammer. 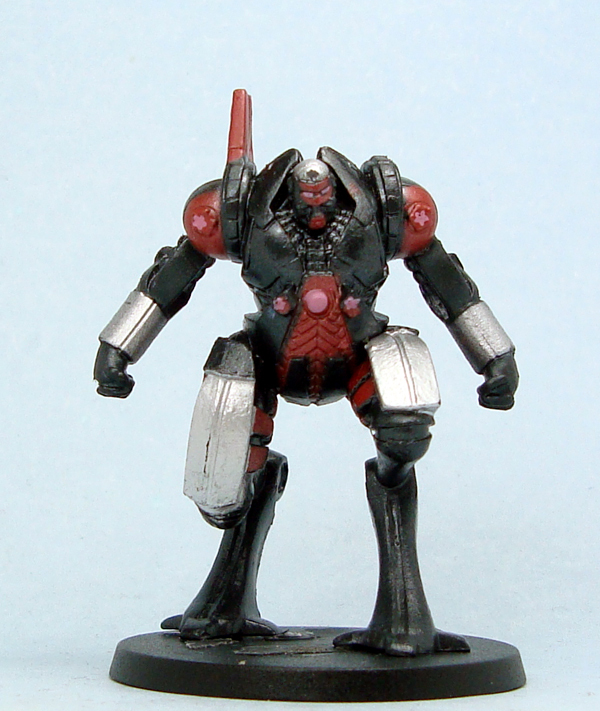 It’s a Heroclix mini, and the character portrayed is apparently an enemy of Iron Man’s. Just so you know. The mini itself is actually very nice, and fits the Pacific Rim aesthetic. With a slightly forward leaning pose, bulky upper body and reverse-jointed legs, the model gives off an air of menace. Sizewise it’s comparable to the other mechs I have, see end of post. Joining the kaiju side is Zorog. Part of the Monsterpocalypse line, Zorog is an impressively large model. 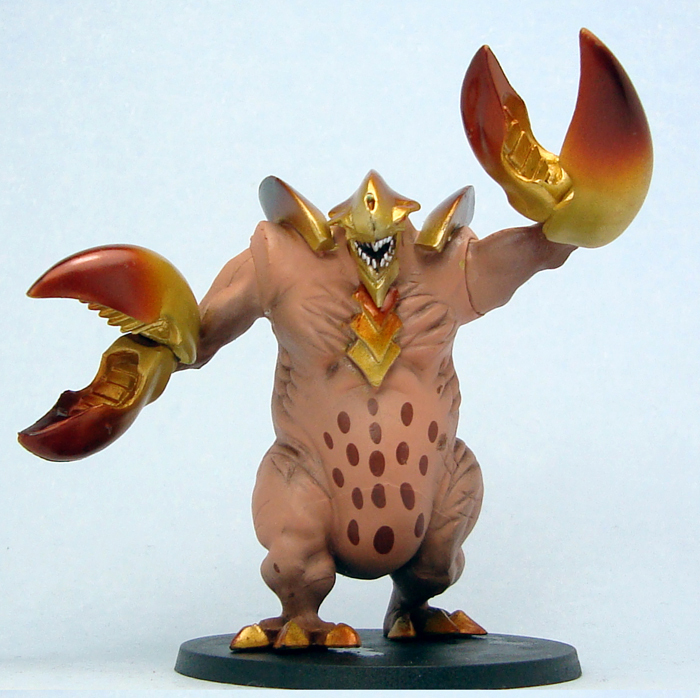 Most of the Monsterpocalypse (or “Monpoc” as it’s often called) minis are too cartoony to use in serious giant monster gaming, but Zorog fits in nicely – even with his massive pincers. 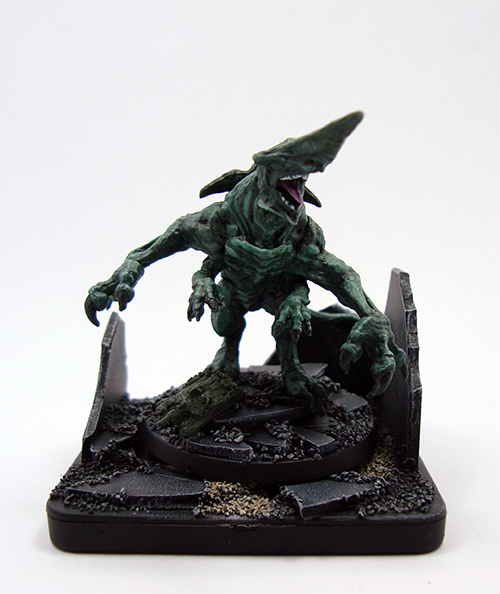 Tall and bulky, Zorog received a larger 50mm base as opposed to the 40mm ones on (under?) the rest of the cast. Both of these miniatures are actually quite nice as far as pre-paints go, and the vinyl is quite rigid. Of course they will be repainted, but if you were feeling lazy, they could be used as is. Both were fairly easy to pop off their bases. Now to actually get painting!